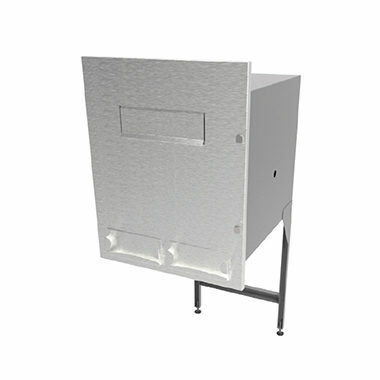 This through-the-wall unit combines a chamber for the secure transfer of bulk cash, coinage or other valuables, with a separate quick deposit enclosure. 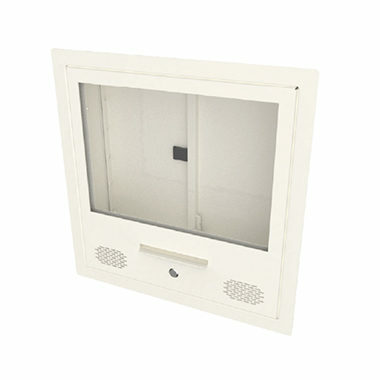 This secure vision panel has a built-in electronic speech system and call button to enable communication between secure and non-secure areas. 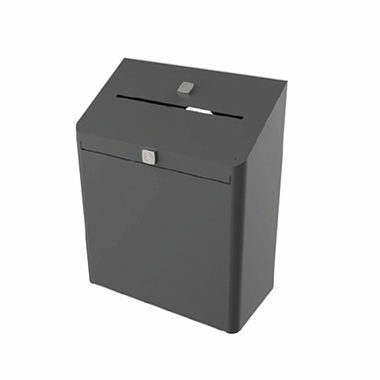 This letterbox is a secure postal unit for the deposit of documents or valuable goods. 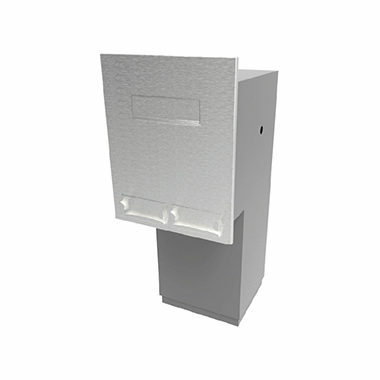 This portable letterbox fits easily to the inside face of a wall or door behind an existing external letter plate. This receipt bin is simple yet effective. 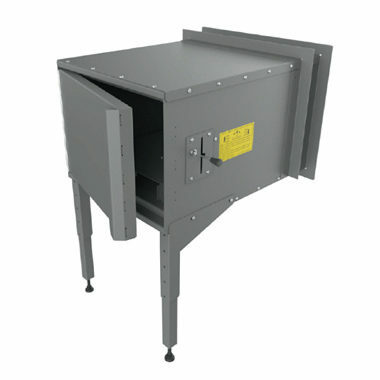 The unit is emptied via an access door to the front, which is fitted with a lock. 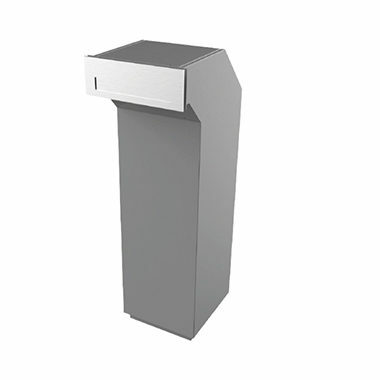 Our secure pedestal provides a solution to holding important documents, high-value items or cash with three individual locks. 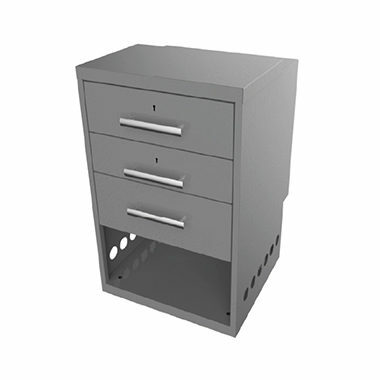 The three drawer, single skinned cashier pedestal unit has an open PC compartment. 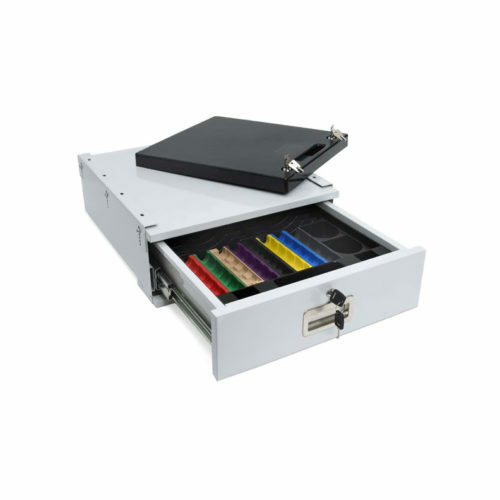 This light duty cash drawer has a robust steel casing and is designed to fit neatly under counters. 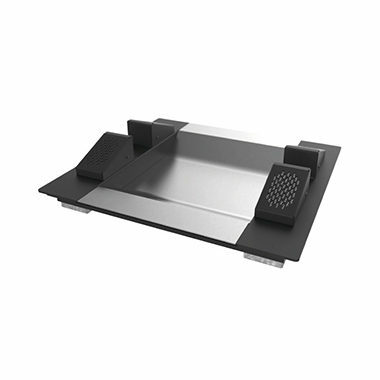 The shallow pass through tray allows small items such as documents and money to be passed through limited space from an insecure to secure area. 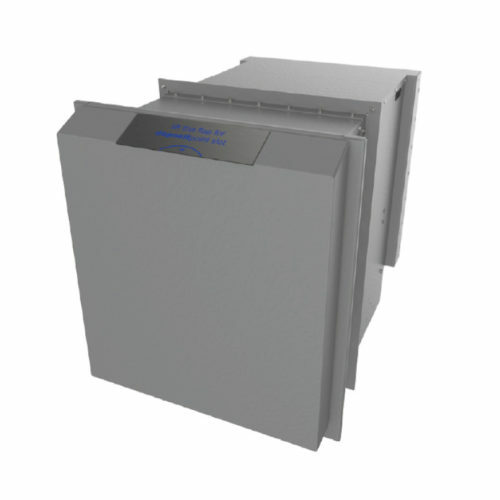 The small pass through tray, designed for limited space, allows smaller items to be passed between secure and public sides of a security screen. 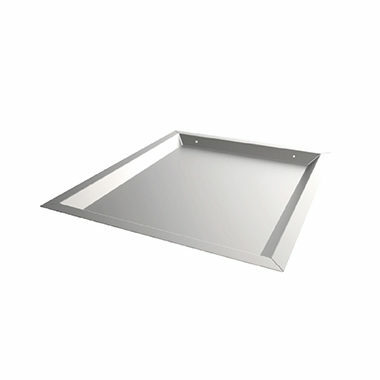 Our shallow pass through tray allows items to be passed between the secure and public sides of a security screen. 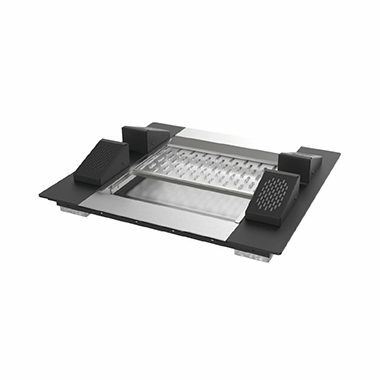 Our pass through tray features a sliding cursor for extra security which allows items to be passed between secure and public sides of a security screen. 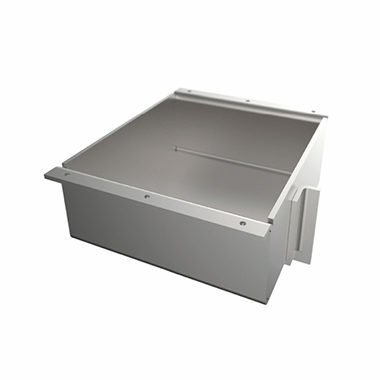 Our shotbox has been designed to increase protection for staff. It is ballistic attack proof when used with the Small Pass Through Tray with Slider Cursor. The internal deposit point is designed to allow access to contents via a front opening door. 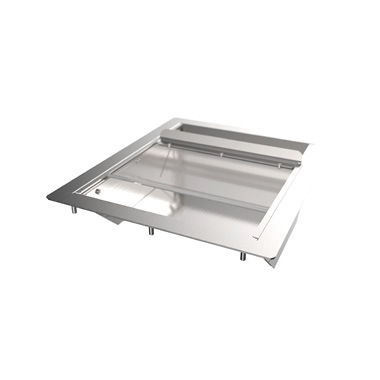 The internal deposit point is designed to allow access to contents via a rear opening door.